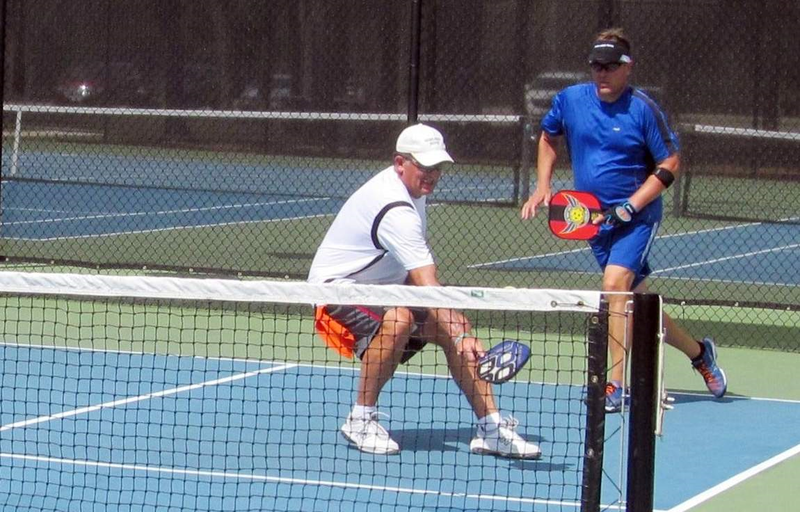 SEBRING — On Sunday the top five teams in the South Central Florida Pickleball League met at the Sun ‘n Lake courts to determine this year’s league champions. Unlike regular season play, where the A, B, C and D partners on each squad play against all of the pairs from the opposing team, “shootout” play matched only pairings at the same level. Points were awarded for each win, but varied according to the rankings. Ten points were up for grabs in meetings between ‘A’ rated teams, with seven points on the line for ‘B’ team matchups. The ‘C’ rated matches were worth five points and three points were up for grabs in the ‘D’ matches. In round one, teams played the best two of three games to 11 points. Tanglewood, who finished second in regular season play, met fifth place Sun ‘n Lake. Tanglewood’s A team of Wayne Buck and Debi Yandell defeated Barb Taylor and Linda Kramer 11-9, 11-5. In the B flight, the Sun ‘n Lake duo of Ross Myles and John Prentice took Tanglewood’s Mark Telfer and Grant McLaughlin in three games, 11-3, 7-11, 11-4.